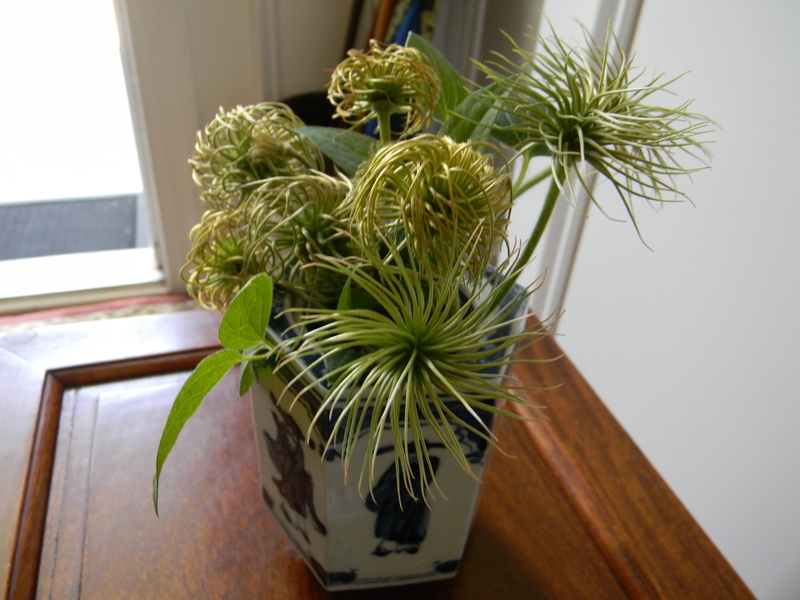 As my clematis vines have begun to drop their flowers, they have left a legacy of intriguing seed heads. 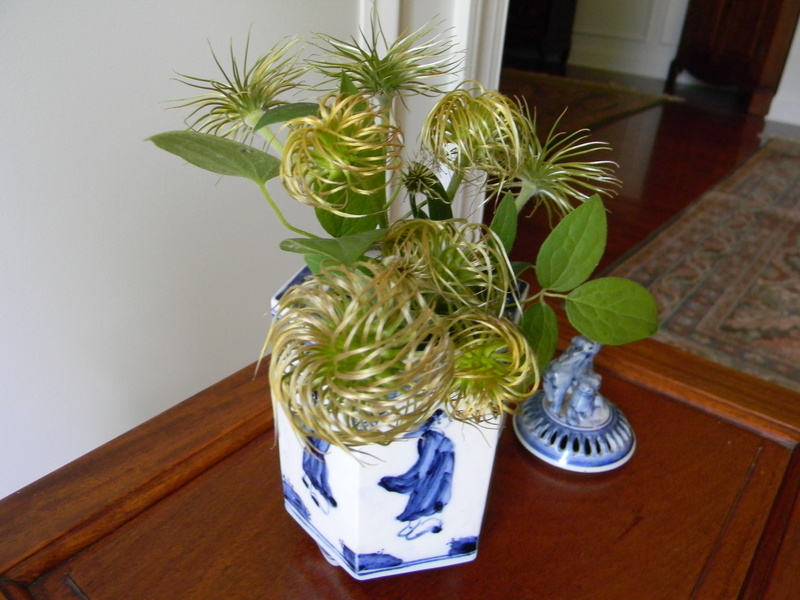 It seemed that they just might give me the opportunity to extend In a Vase on Monday to include something other than flowers or foliage. I do hope the viewers won’t mind. 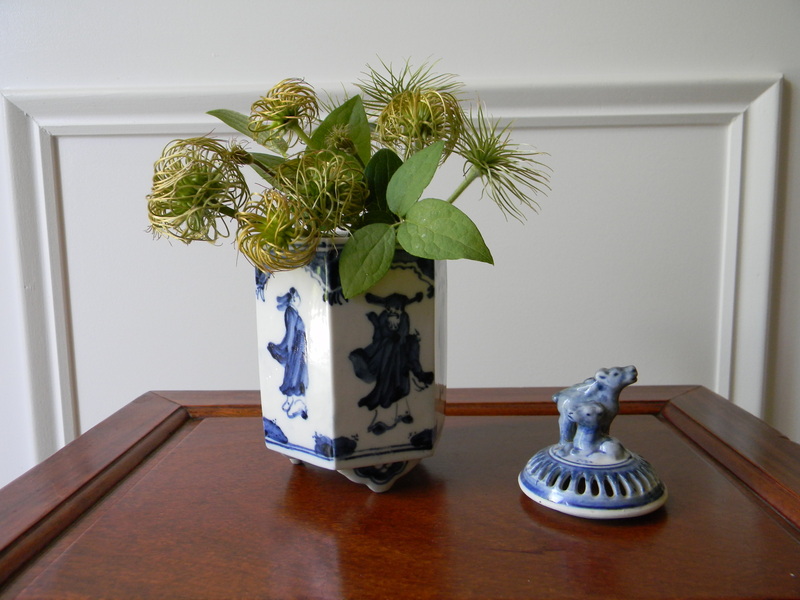 This entry was posted in Gardening, In a Vase on Monday and tagged clematis, clematis seeds, clematis vines, Comptesse de Bouchard, flowers, General Sikorski, Henryii, In a Vase on Monday, incense, Japanese pottery, Ramona, seed heads. Bookmark the permalink. Thought I would try something different.